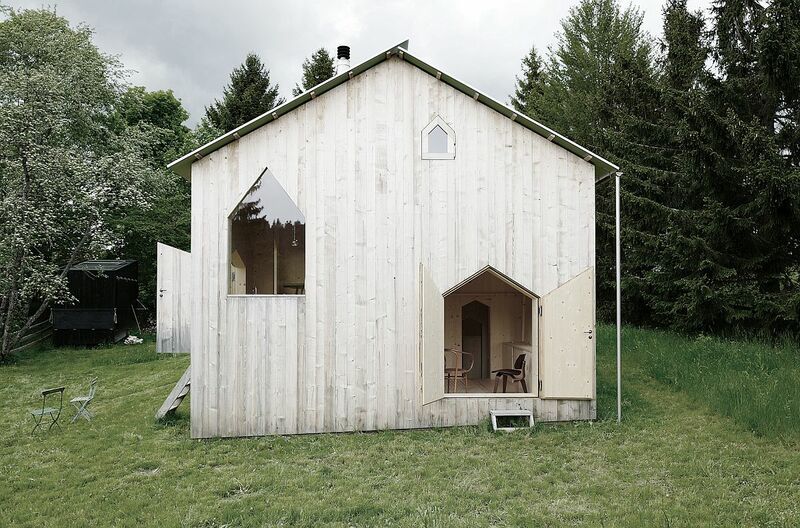 When you think of a Chalet, this little residence nestled on a lovely little lot in Switzerland is not the first image that comes to mind! 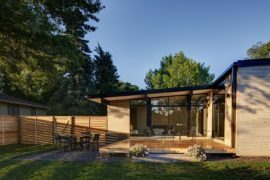 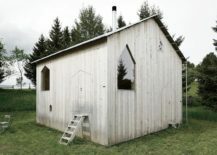 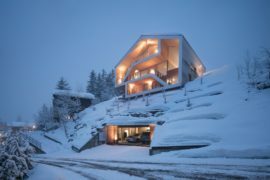 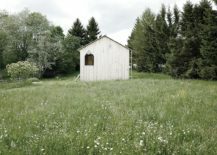 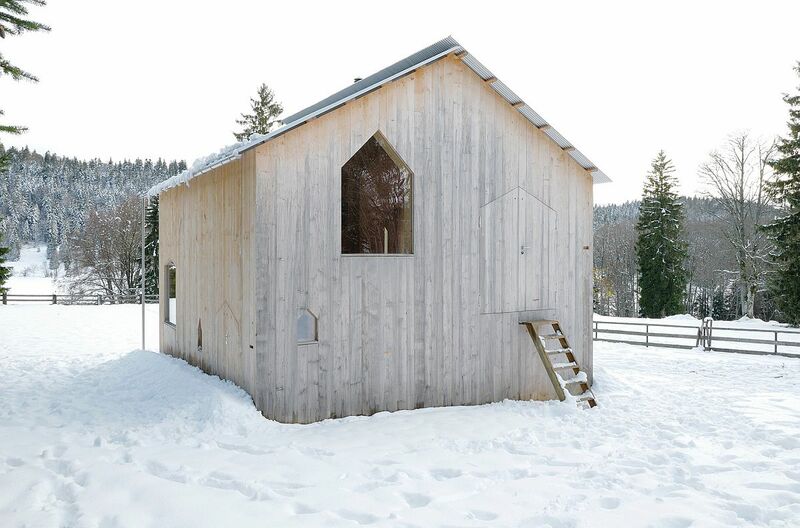 But the Reconstruction of a Chalet is a project that explores spatial possibilities when it comes to modern minimal homes even while keep the exterior more vernacular and classic. 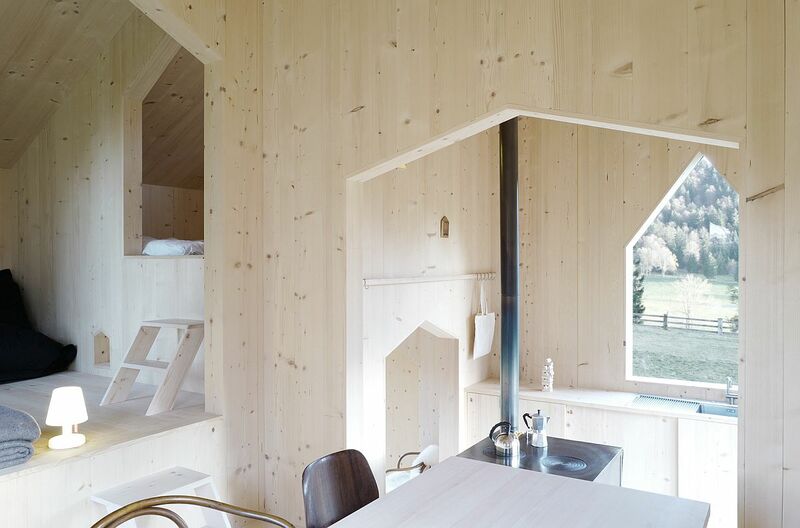 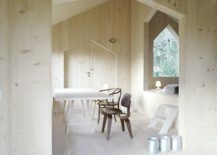 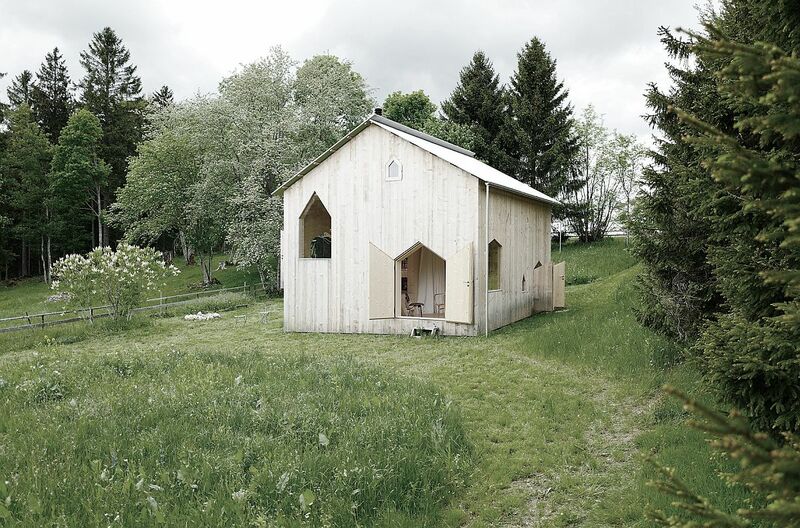 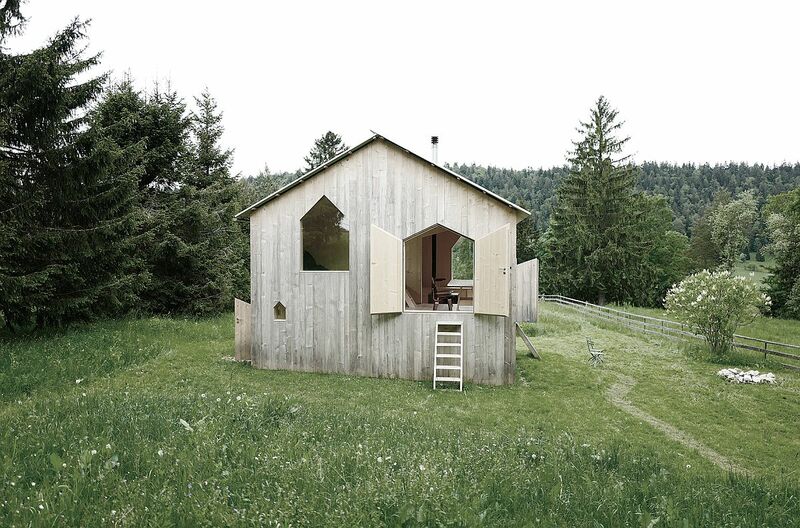 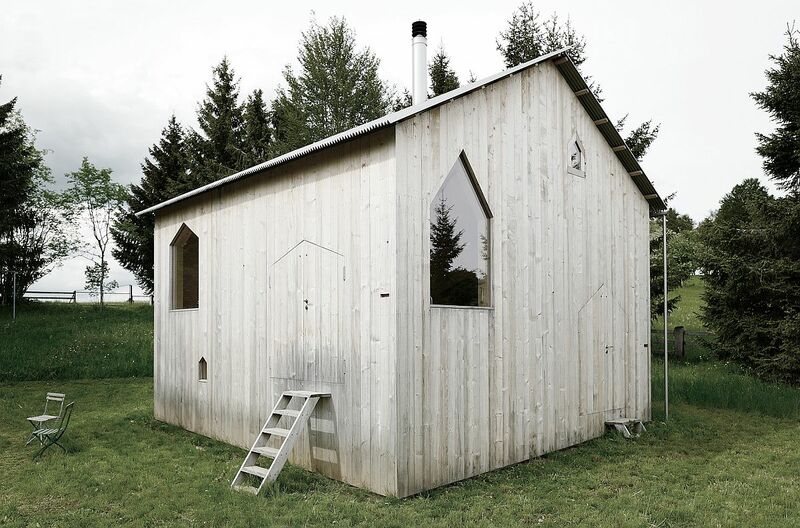 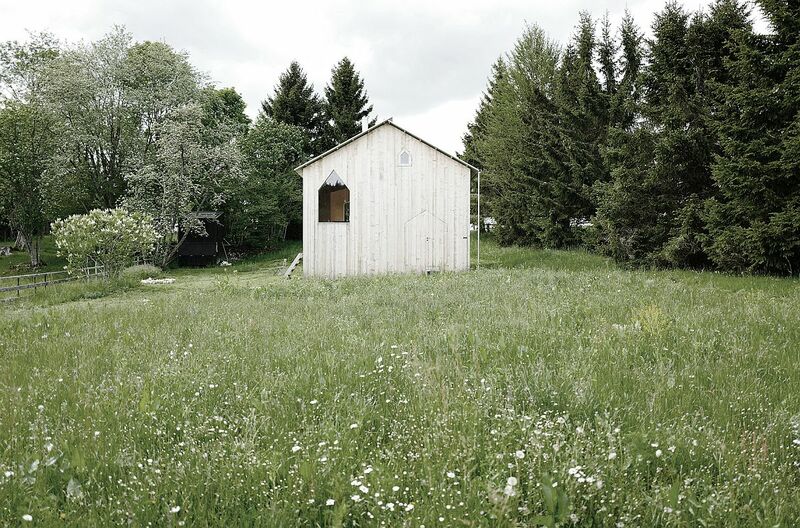 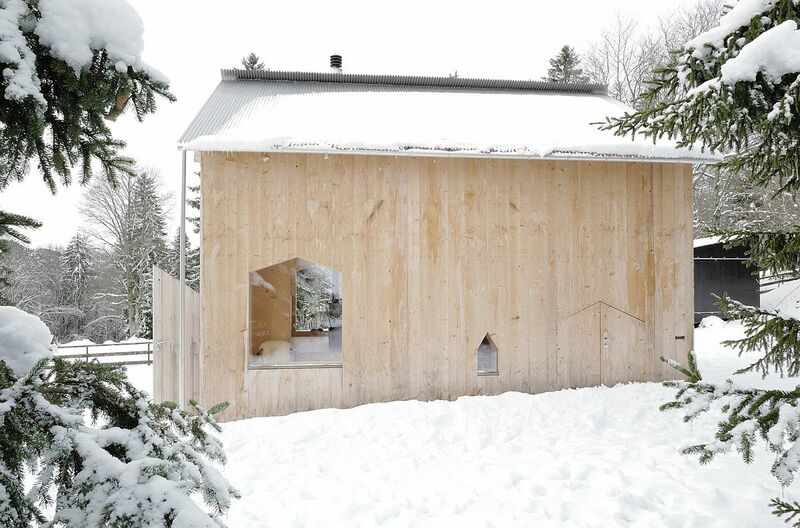 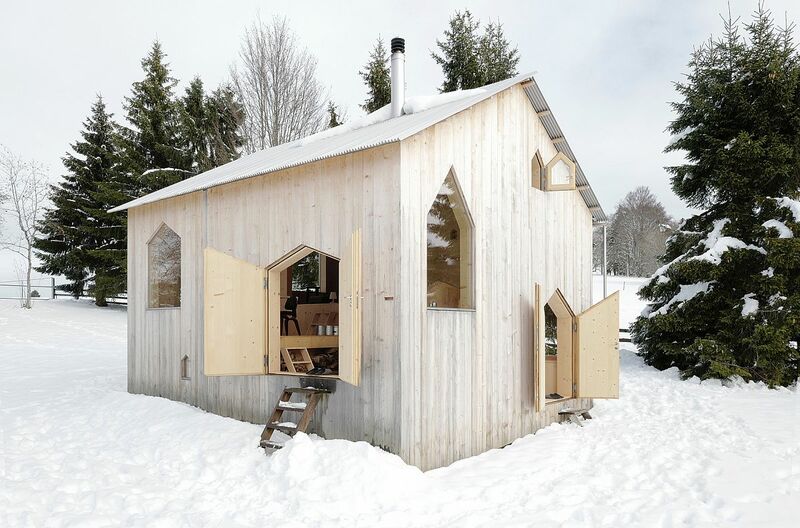 This little Chalet in Brot-Plamboz was designed by frundgallina with an exterior that is crafted completely out of rough fir boards sourced from the local Jura forests. 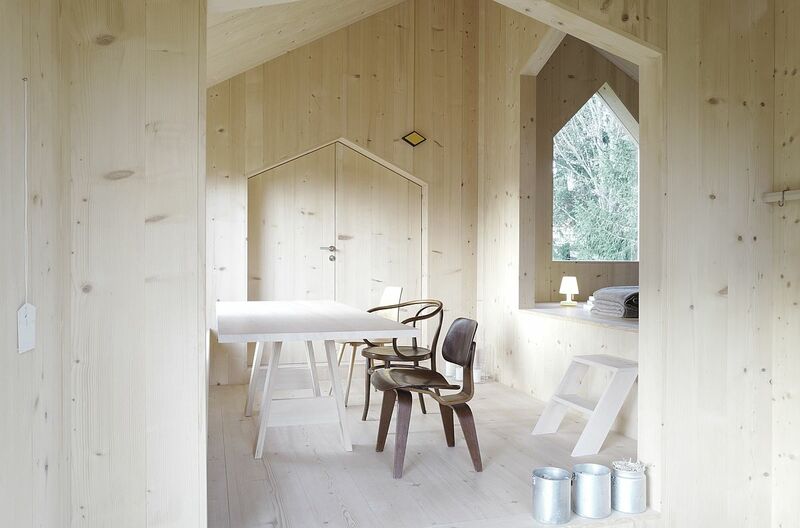 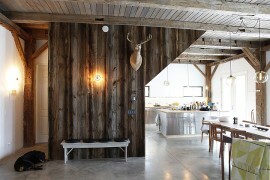 On the inside, these wooden surfaces are beautifully polished and give the home a relaxing, cozy vibe. 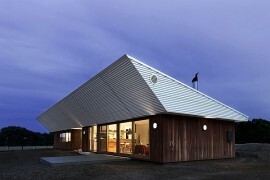 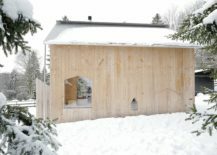 More than the ambiance of the space, it is the many unique design features of this structure that demand your attention. 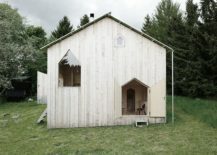 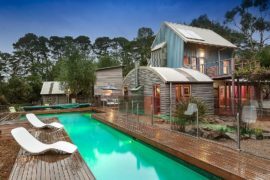 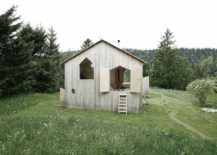 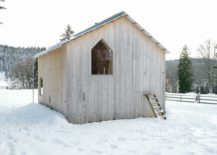 For instance, each side of the tiny chalet has its own entrance with two windows that are identical in shape but of varied sizes. 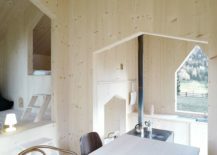 It almost feels like a magical little space that has come alive from the page of a fairytale book and as you step inside, the different sized opening between the various rooms inside adds to this wonder. 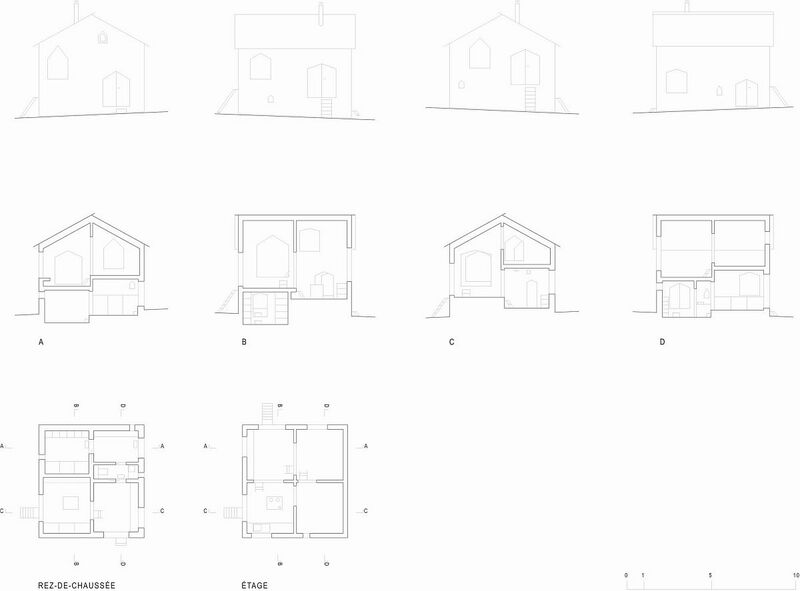 In relation to the exceptional landscape of equal value on all sides, the building area was divided into four identical portions of about 8 m2. 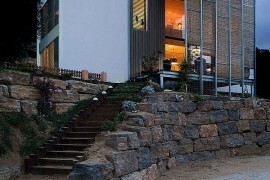 These neighborhoods were then divided at a different altitude, chosen precisely to ensure their accessibility. 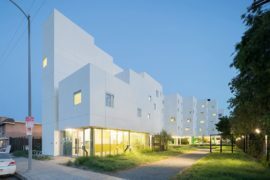 This construction experiments with the different themes that characterize our architecture: the simplicity and homogeneity of forms, the variety and spatial richness, the neutrality and expressive singularity, as well as the calm, the softness or the lightness emanating from the formal composition. 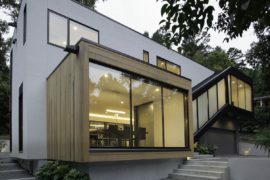 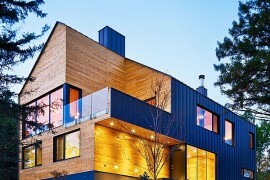 One small and one large window each side of the residence steals the show here!